e-Government is now a worldwide and complex phenomenon. 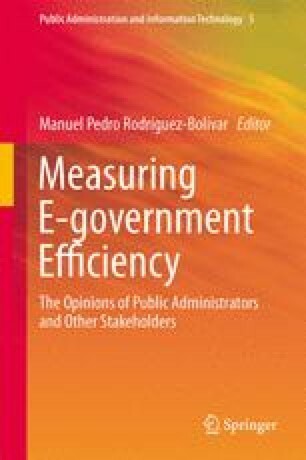 A dominant view of how it should be evaluated focuses on assessing both e-Government evolution and use. Questions about the purposes and contributions of e-Government to societal improvement are being excluded from the evaluation. In this chapter a case study of Colombia is used to gain insights into the challenges faced by evaluators. With these insights and using systems thinking as a body of knowledge, three (3) conceptual patterns of practice are defined to help stakeholders engage with evaluation activities and positively improve the influence of e-Government in society. The author wishes to thank evaluators from the Colombian government (Programa Gobierno en Línea) for their invaluable insight, advice and information in relation to this chapter.